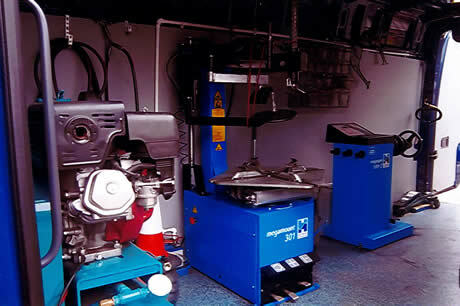 Our fully equipped mobile fitting vans cover East Sussex 24/7/ Fitted with the latest Hoffman Megaplan fitting machines and wheel balancers they are capable of fitting and balancing from ten to twenty four inches diameter tyres including runflats. We operate a fully equipped mobile truck fitting service. Operating since 1925 there is a long history of delivering successful solutions to commercial fleet clients and understand the importance of keeping you on the road. New tyres, repairs, regrove, twinning and fleet inspections coupled with a 24/7 nationwide and European cover policy means down time is kept to a minimum. On roadside breakdowns 24/7 nationwide response time is just fourty minutes.